You read that right, ThinkGeek and Her Universe have teamed up to create a Star Wars clothing line that is office appropriate. The perfect way to geek out at the office. Click below to check it out. 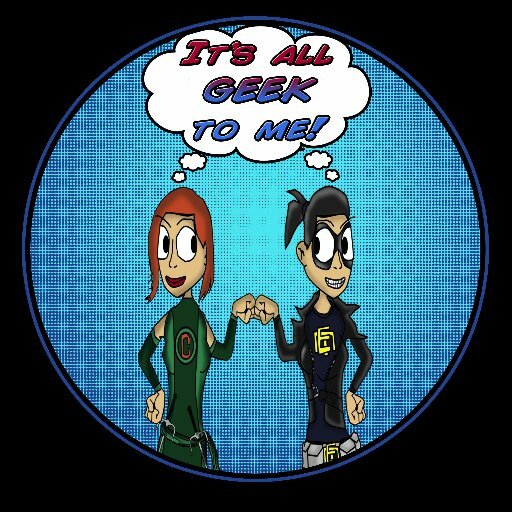 It’s All Geek To Me Radio’s This Week in Geek & A Giveaway LIVE SHOW! Thanks to everyone who joined in on last Monday night’s show, live on Facebook and BOTH on Our Instagram account @allgeektomeradio AND Cate’s cosplay page @Starbuck_Cosplay . The full show is now available on our Facebook page, we’ve included the link to the show and a bunch of bonus links, just because we love you so. Who doesn’t love a good Superhero? Back in the 90’s there was a very interesting animated cartoon superhero known as The Tick. The Tick, and his nebbishie sidekick Arthur (who was voiced by both Rob Paulsen AND Micky Dolenz). The show, which was based of a comic series with the same name, was about an invulnerable, somewhat dim, superhero who protects The City from all manner of evil-doers, and it ran for three seasons. In 2001 The Tick got a live action show, also airing on FOX, for one nine episode season, Starring Patrick Warburton as the titular character. Now, Amazon Prime has decided revive the show, witha brand new live action series. The New series, starring Peter Serafinowicz as The Tick and Griffin Newman as Arthur released it’s pilot last summer, and now have finally released a trail for the upcoming 1st season.